The presidents of France and Russia have been meeting in Moscow to discuss strengthening cooperation in the fight against Islamic State militants. 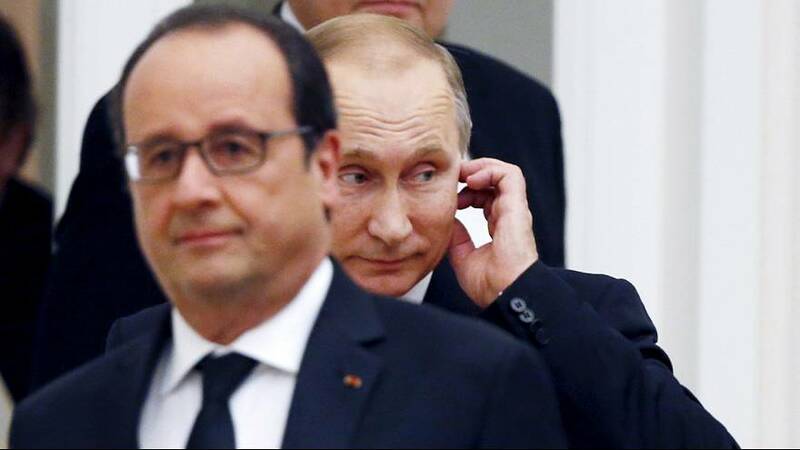 Both Vladimir Putin and Francois Hollande said they agreed there was a need for greater coordination to be more effective in air strikes, and to avoid a repeat of Turkey’s downing of a Russian fighter jet on Tuesday. Putin described the shooting as an “act of betrayal” by a country Moscow considered to be its ally. Hollande repeated his belief that Syria’s President Bashar al-Assad can not be part of Syria’s political future but Putin said such a decision could only be made by the Syrian people.